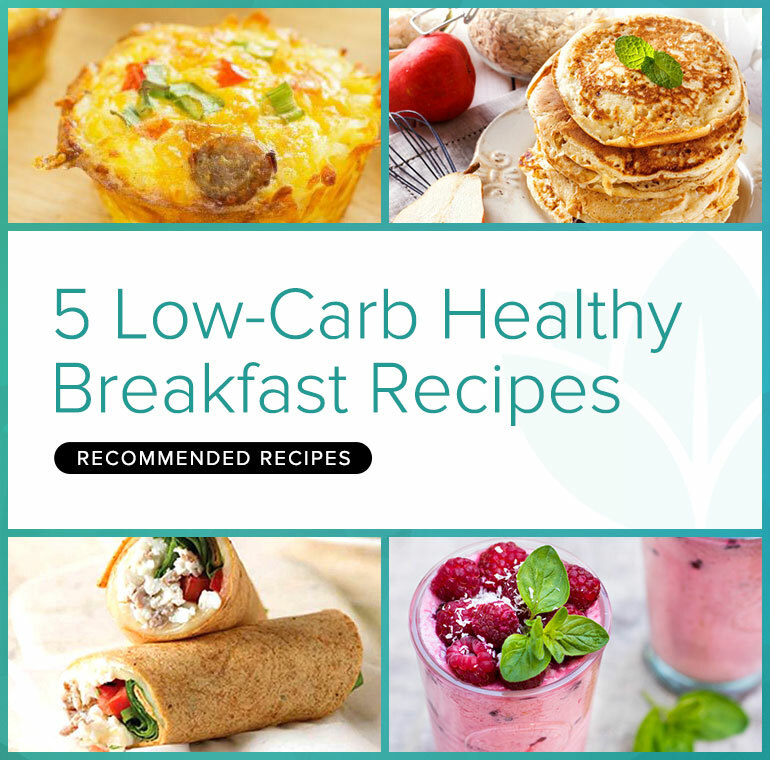 Conventional breakfast foods such as cereal, toasted bread, pastries, pancakes don’t work for healthful, low-carb diet. Studies have shown that starting out with more protein than carbs can enhance mental focus, prevent fatigue, delay hunger, improve insulin levels, reduce sugar cravings and increase lean muscle mass. 1. Spray a mug with cooking spray. Add the spinach and sausage and cook until spinach is wilted. If using raw sausage, start with the sausage and cook until completely cooked. Then add spinach. 2. Add the egg whites to the pan. Scramble until cooked through. 3. 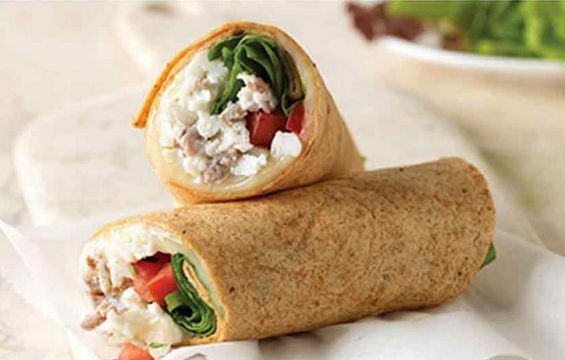 Add the eggs to the center of the wrap and roll to close. 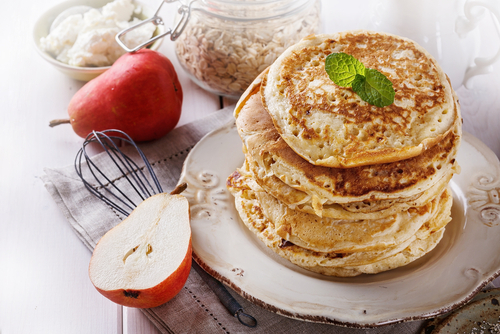 2.Cook the batter as you would pancakes, be careful not to burn them as you might not get the regular bubbles. 3. Serve them with sugar-free syrup. 1. Preheat oven to 350 degrees F (175 degrees C). 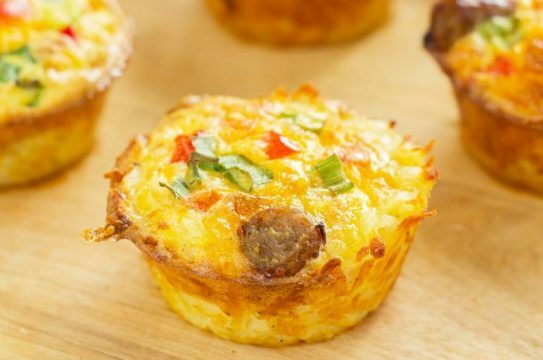 Grease 12 muffin cups. 2. Beat eggs together in a large bowl. Mix in sausage, bell pepper, onion, sea salt, and black pepper. Evenly divide egg mixture into prepared muffin cups. 3.Bake for 18 to 20 minutes or until muffins are set in the middle. 2. Add the oil to a 2-quart casserole and transfer to oven for 5 minutes. 3. In a bowl, mix the eggs, salt, and pepper. Add the spinach, tomatoes, and scallions and combine. Gently stir in the feta. 4. Remove casserole from oven. Pour the egg mixture into casserole. 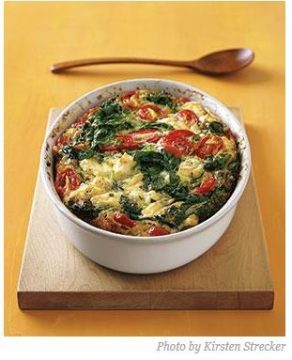 Bake until the frittata is browned around the edges and slightly puffed and a knife comes out clean, 25 to 30 minutes. 1. Blend flax seeds in blender until seeds are ground. Add coconut milk, water, berries, banana and honey. Blend until smooth. 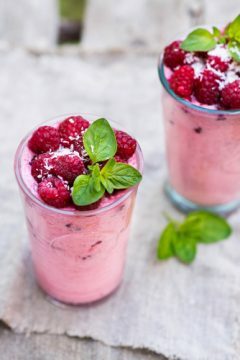 To change it up a bit, you can add different extracts such as almonds for example or, omit the berries, add an extra banana, and then a tablespoon of cacao powder for a chocolaty shake.